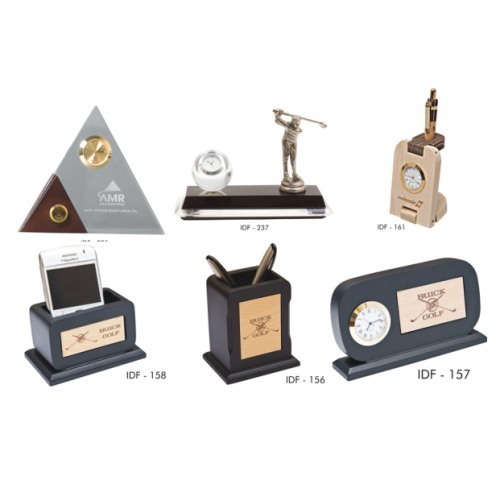 Offering you a complete choice of products which include table top clock, chess board, baxter watch, momentos with clock, table top clocks with photo frame and wave shape watch with mholder, vch & penholder. 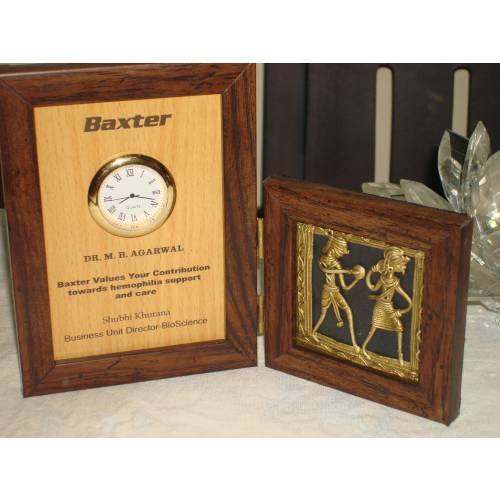 We are proudly engaged in manufacturing, exporting and supplying the superior quality collection of Table Top Clocks. These are exquisite in design and provide the soft feeling to the mind while gazing to these. All our sautés are exclusively fabricated and also polished flawlessly. Further, our rendered range is available in wide array of attractive designs, accurate dimensions and fine finish. We can also customize our collection according to the required specifications industry leading prices. 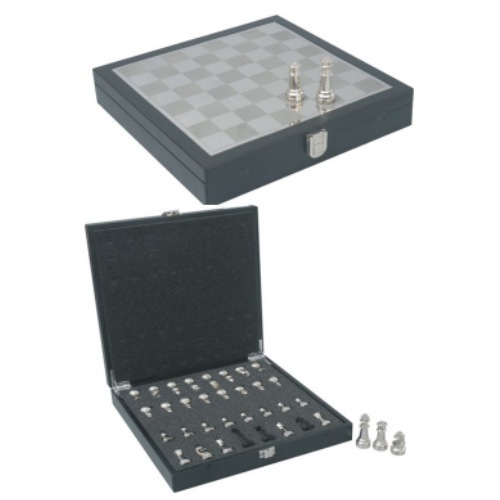 Our years of experience and sharp business acumen made us enable to provide our comprehensive collection of Chess Board. These products are specifically designed for the entertainment purpose and are highly demanded among varied customers. We use only best quality raw material in the manufacturing process due to which the products provides stability for a long period. Our offered collection is available with customized specifications at most competitive prices. With the assistance of our experienced personnel, we are able to introduce our wide variety of Baxter Watches for our valued customers. These products are crafted out of superior grade factor inputs, which enhance the service life of the range. Our products are broadly demanded across the globe due to the elegant designs and attractive patterns. In addition, we can also provide our range as per the detailed specifications of the customers that easily suits with their diversified demands. 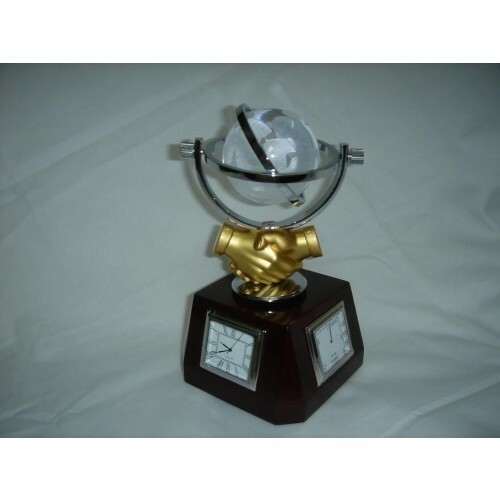 Due to our transparent dealings and ethical business policies, we are able to fulfill the needs of our valued clients by offering them the Momento with Clocks. These products are demanded across the globe due to the different designs and patterns that are manufactured with the innovative techniques. Our offered collection is highly appreciated for the quality standards, which are achieved after the stringent testing process by the quality testers. 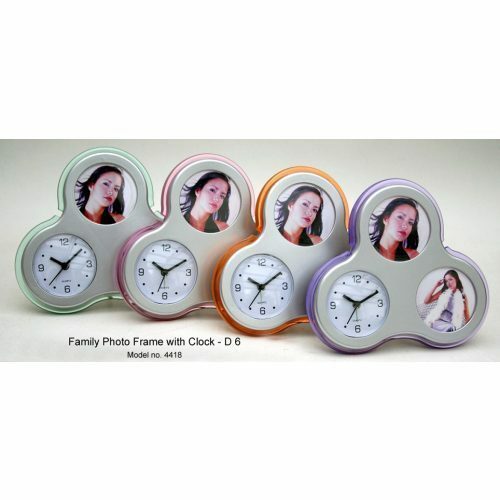 We provide a wide array of Table Top Clock With Photo Frame, which is made using quality material and are availed by us in various colors and colored inks. These are available in attractive look and also serve as useful tool for promotion and advertising for corporate. The frames cost effective and are appraised for their durability, compact designs, reliability and easy maintenance. Further, the frames are available in various standards sizes, textures, shapes and patterns for our clients. 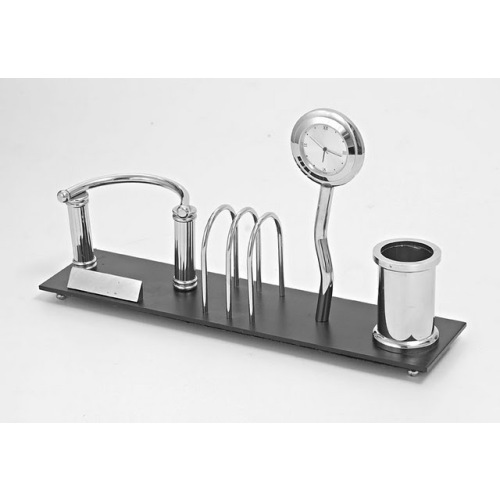 We hold expertise in offering the vast variety Wave Shape Watch with Mholder, Vch & Penholders that are manufactured using the finest quality raw material. For the maintenance of this range, we always conduct the testing process, which is managed and controlled by our experienced quality controllers. The range is high in demand across the globe due to the fabulous patterns and high gloss finish. Our esteemed clients can avail these products from us at most convenient and competitive prices.